Colliers International is proud to provide high-quality amenities to our tenants at AEP, which include: an on-site property management and maintenance office, a 24-Hour Service Centre, after hours and weekend on-site security. 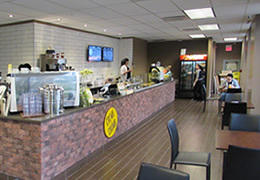 The Crème De La Crumb Café is located in Building 8, open for both breakfast and lunch, as well as providing catering services for your office meeting needs. 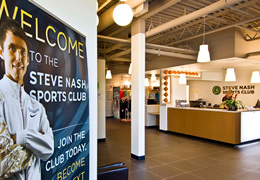 State-of-the-art equipment with personal TV monitors, athletic training area, cardio area, swimming pool, basketball court, indoor tennis complex, personal training, cycling studio, sauna and steam rooms, whirlpool and kids club. Kids & Company is located at Building D, Suite 200 - 3851 Shell Road. 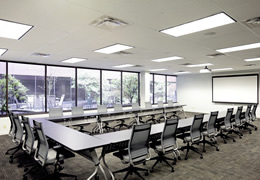 AEP has a conference facility located in Building 1 for exclusive use of tenants that accomodates up to 50 people. Amenities include teleconference phone, internet access, data projector with screen and bar fridge. The room is available on a pre-book, no charge basis, from Monday-Friday between 8:00 AM - 4:30 PM. 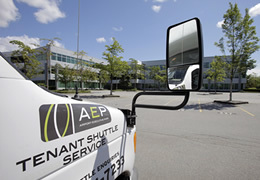 AEP Shuttle Service runs on weekdays from the Bridgeport Canada Line Station to and from AEP. This service operates every 10 minutes from 6:30 a.m. to 9:00 a.m. and from 3:30 p.m. to 6:00 p.m. 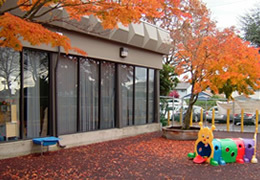 Bus stops are located adjacent to AEP on both sides of Cambie Road. 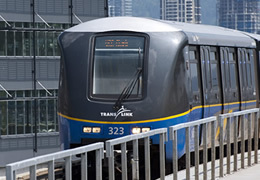 Bus #410 runs between Aberdeen Skytrain and New Westminster Skytrain every 10 minutes and bus #405 runs between Horseshoe Way and Knight Street (at Marine) every 30 minutes. AEP is currently patrolled by on-site security Monday – Friday (3:30 p.m. – 7:30 a.m.) and 24 hours on weekends and statutory holidays. In addition, each of the multi-tenanted buildings is secured by an electronic card access system which requires the use of a card to access the building after normal business hours.